– Issue tracker – so you can help us further improve our products, if you can/want. – Build scripts – to let you compile custom binaries with the chart types you need. – List of branches – to demonstrate our development cycle and prove you can trust us. The Pareto chart, named after prominent economist and sociologist Vilfredo Pareto, is currently one of the most popular chart types in the field of management. And we simply could not make you get along without it anymore. So, let’s all welcome the Pareto chart type! Starting from the 7.13.0 version, AnyChart offers it out of the box. 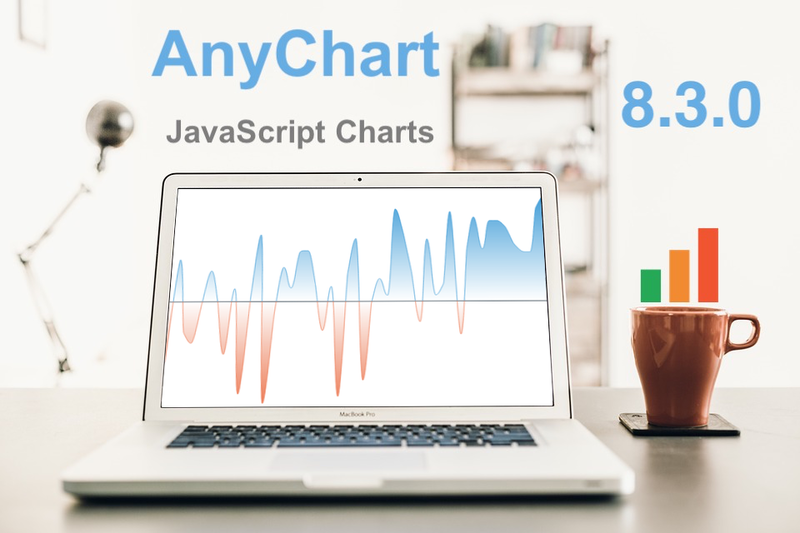 Now you can easily create a Pareto chart by using the anychart.pareto() constructor. 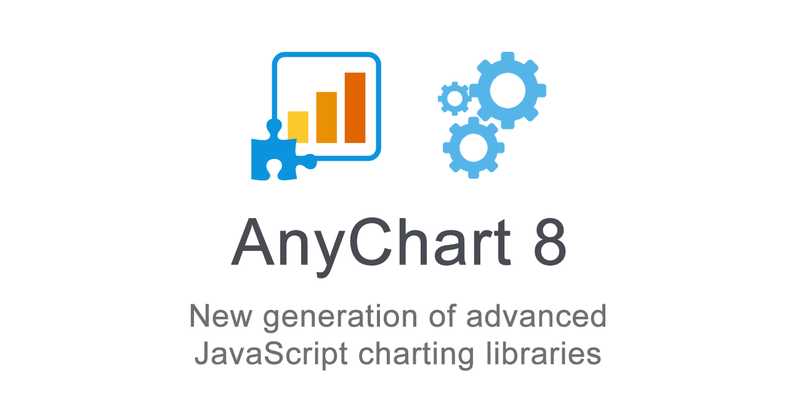 Please also meet these major new arrivals to the list of chart types supported in AnyChart and AnyStock. We introduced Backward and Forward modifications of the Step chart as well as the Jump Line and Stick. 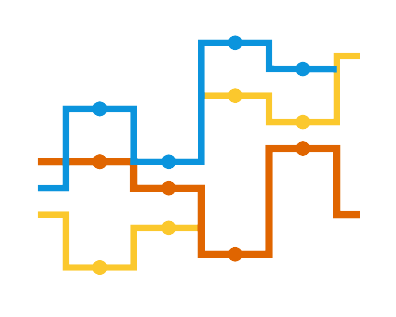 The Step Line Forward and Step Line Backward charts are now available with the help of the stepDirection() method. 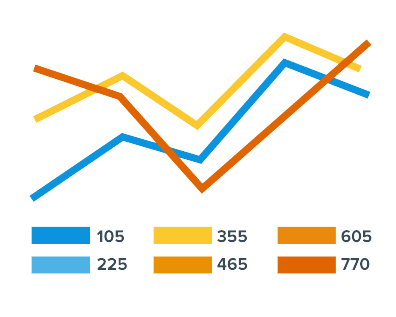 To add a Jump Line chart or create a Stick chart, use the jumpLine() and stick() methods. Imagination is freedom. 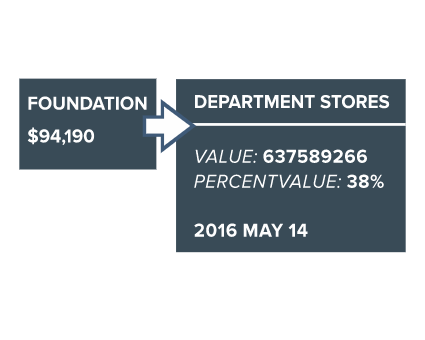 You definitely need to easily visualize your data exactly the way you see it. And we keep on doing our best to deliver you the ultimate customization features. Now we added the new rendering() method to AnyChart and AnyStock so you could put any creative idea into action and build any custom chart. 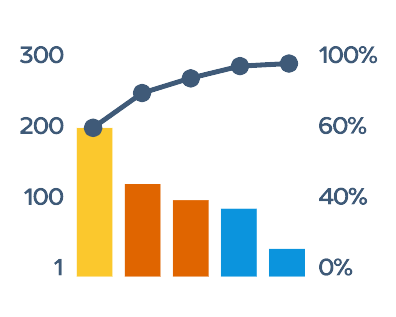 Custom drawing examples: Frog Chart, Cherry Chart, and Column Chart with Rounded Edges. We added new options to work with the legend in AnyChart, AnyMap and AnyStock. First, the itemsLayout() now lets you improve the legend’s visual appearance, especially when multiple series are displayed. Second, the legend can now be placed inside a data plot (the positionMode() method) to facilitate a more efficient use of space on a chart. 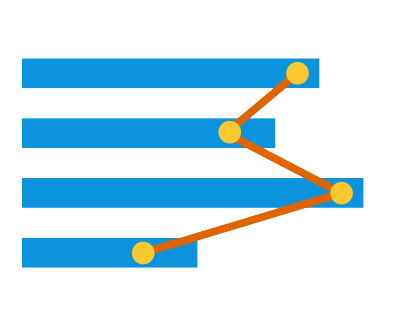 Third, the drag() method allows you to easily position the legend on your JS chart. To expand the range of stock JS (HTML5) charting opportunities available in AnyStock, we added more of technical indicators: Adaptive Moving Average (AMA); Modified Moving Average (MMA); Average True Range (ATR); KDJ; Bollinger Bands (BBands); Bollinger Bands %B (BBands %B); Bollinger Bands Width (BBands Width); Stochastic Oscillator (Fast / Slow / Full). Learn more of all the technical indicators in our Docs. 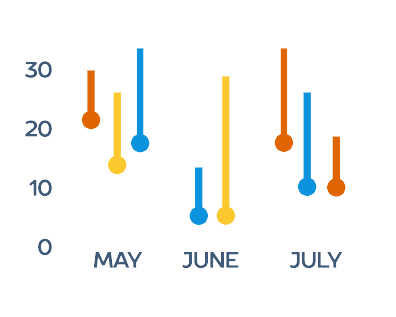 With the previous, 7.12.0 release of AnyGantt, we introduced the redesigned Resource chart. 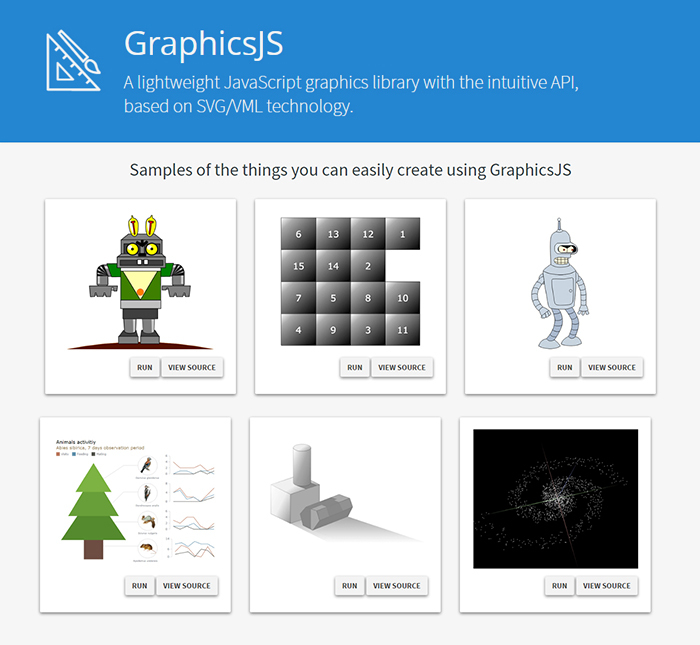 In the new, 7.13.0 version of this HTML5 / JS library, we are glad to present you several major new features added this time. First of all, now you can enable and adjust the Hover and Select interactivity settings in our new Resource charts. First of all, now you can enable and adjust the Hover and Select interactivity settings in our new Resource charts. Third, we have also added Tooltips to the new Resource chart with the current 7.13.0 release of AnyGantt. They will help you display additional information about each activity you are visualizing, in a convenient, greatly interactive way. 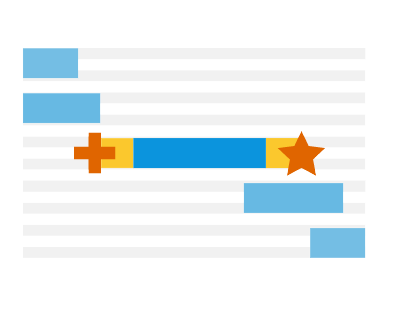 Of course, we could not leave our Gantt charts without proper attention with regard to new features. 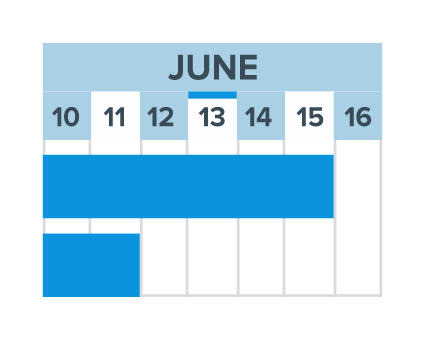 This time we made tuning the visual appearance of the Live Editing mode in HTML5 Gantt charts more flexible by adding the new Connector Customization features. You are welcome to take a look at them in action in AnyGantt’s Gallery. By the way, we have already scheduled the next major update on May 2017. Please see the roadmaps of AnyChart, AnyStock, AnyMap and AnyGantt in case you would like to find out what you will get with that release. 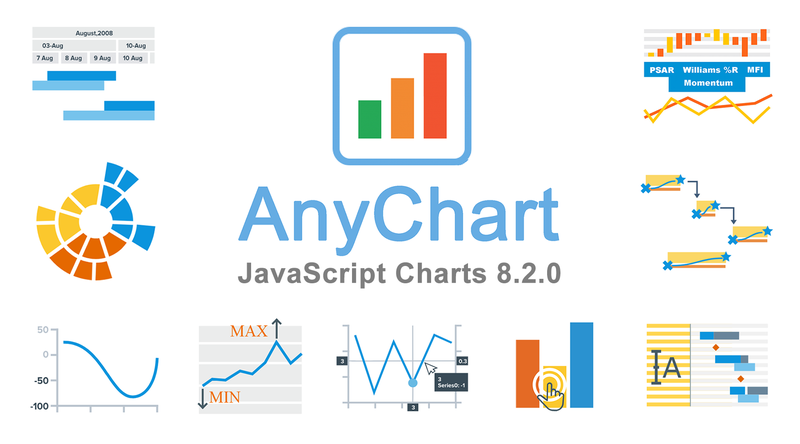 All in all, 2017 is going to be no less fruitful in terms of new features in AnyChart JS Charts than the rich year of 2016! Please contact our Support Team at any time when you have any questions or requests for new features. We’ll be glad to be of help, as always! 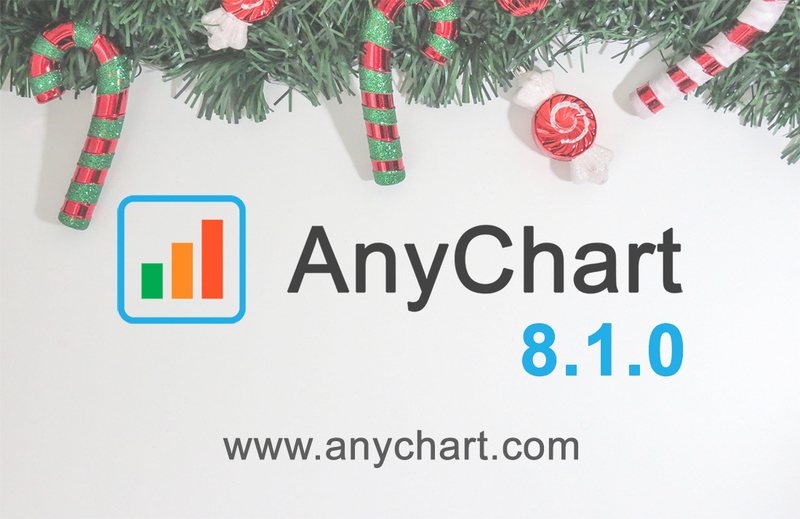 Purchase a license (renovated Buy page): https://www.anychart.com/buy/. 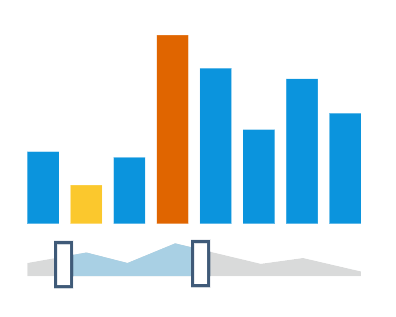 Choosing the right chart types for data analysis and reporting solutions is always a challenge. In fact, there are so many data visualization options out there that it can be really complicated to determine which one to use in a certain situation. And you cannot afford to make a mistake here, because applying data to an inappropriate type of chart will very likely end up causing confusion and even wrong business decisions. 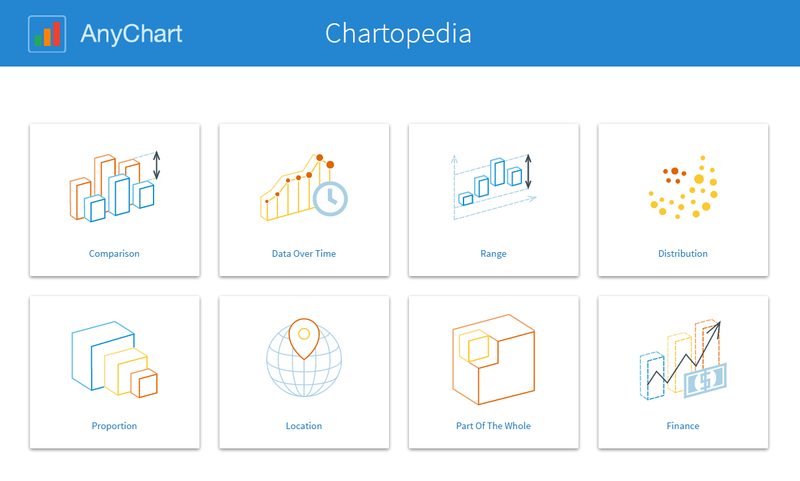 To help you cope with this issue better (and faster), we have developed an information resource named Chartopedia, and it is a pleasure for us to introduce it to you today. Making your data visualization life ever easier is what we at AnyChart are boundlessly passionate about. This time we focused on further simplifying the integration of our JS charting solutions into your web development environment. So, prepare to replan your schedule! From now on, you will spend tangibly less time on charting. And please greet the 21 New Technical Integration Templates that we have just released! They will help you deploy HTML5 graphs, maps, stock charts, dashboards, and Gantt diagrams in your stack as easily (and rapidly!) as never before, no matter what programming languages, frameworks, and databases are used. 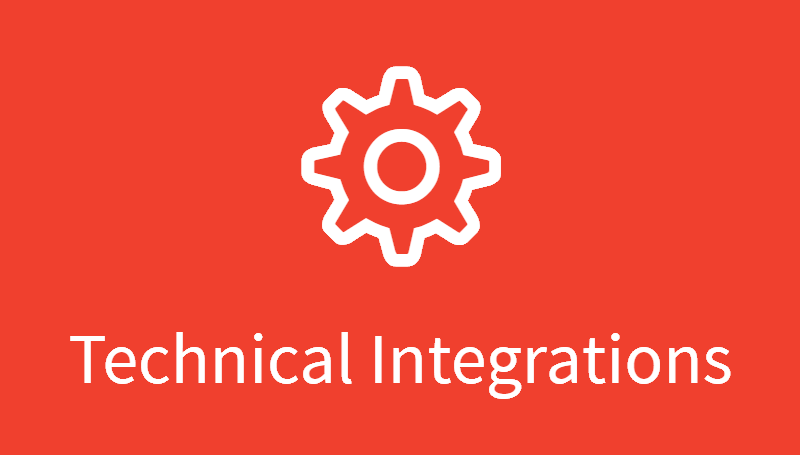 You can find the templates right here on our website, in the Technical Integrations section. The integration templates we’ve added cover the most popular languages, frameworks and libraries, and database programs. Below is the list of the newly available combinations. 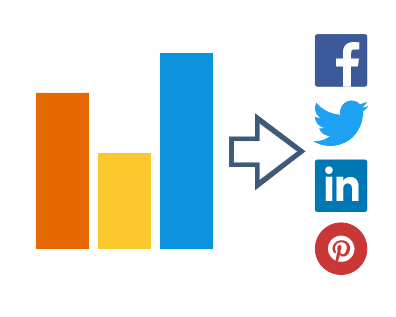 So, you are welcome to make use of our integration templates and samples for easier data visualization. All of them are released on GitHub under the Apache 2.0 License, rest in the AnyChart Integrations repository, and can be forked and changed in any way. We are going to keep the collection growing further. Meanwhile, please send us your suggestions on what other particular integration you are interested to learn about first, and – as always! – that one will be prioritized; just contact our Support Team for that and name your stack.